Contact Feinberg IT at fsmhelp@northwestern.edu to receive your Recovery Key. Make sure you include the first 8 characters of your Recovery Key ID in your email message to identify your computer. 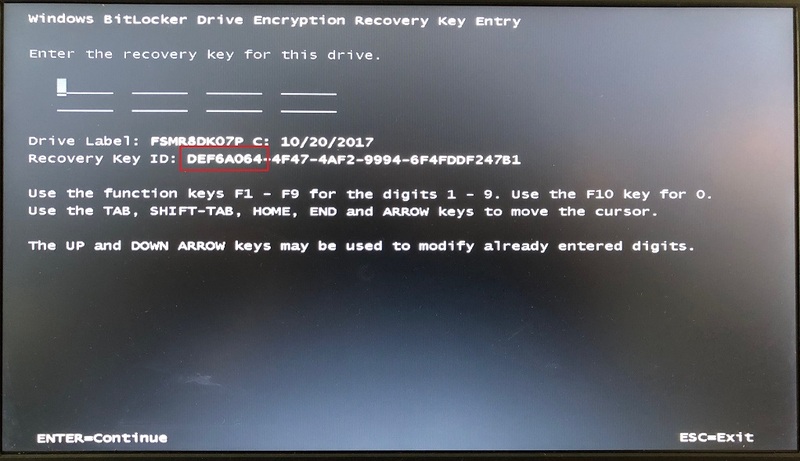 If you can't see your Recovery Key ID, you may need to hit the ESC key to see it. 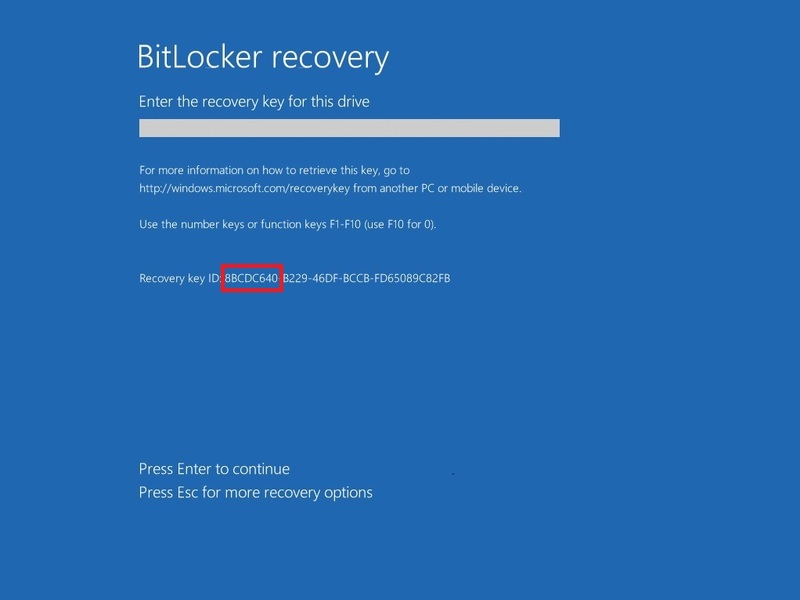 Your BitLocker Recovery screen will look like one of the images below.